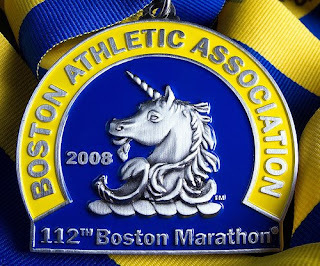 I don't want to steal Liz's thunder, but I'm happy to report that she finished today's Boston Marathon. And with flying colors, I might add. After all of the trials with wintry weather, windy conditions, chilling cold, and the like, everything came together on race day and she crossed the finish line fast enough to requalify for next year. and you're welcome, you rocked yesterday!